Trusted for over 75 years in Tucson, the graduate gemologists at Silverberg Jewelers will give you a confidential and competitive evaluation of your unwanted valuables while you wait. We believe in fairness and honesty. Should you choose to sell your unwanted pieces to us, we will pay you immediately. If you have any questions or concerns, we will be sure to address all of them before you make your decision. You may even trade-in your unwanted pieces for something else that catches your eye. No appointment is necessary. 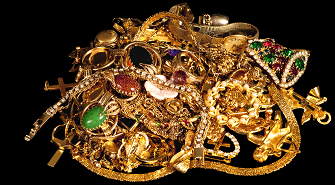 Gold & Platinum – Bring in your unwanted jewelry, coins, bullion, or other broken or scrap pieces of gold and platinum. You may be surprised at what it’s worth. Diamonds & Precious Colored Gemstones – We purchase loose diamonds and other precious colored gemstones of all sizes that are resellable. Time Pieces – Watches from Rolex, Cartier and many other brands.